As always, Mark, you've passed on great advice, great information, and great news about Apple. Success such as you've described helps all of us indie authors. I've had my own success with the Apple iBookstore, where sales of my Playing the Baseball Card have been leading the sales of all of my books at all the other online outlets where Smashwords distributes my books. I know that some amazing reviews helped create those sales; a very good reason to keep my books published with Smashwords. In fact, I didn't even know those reviews of Playing the Baseball Card were there until I investigated a very surprising spike in sales when reviewing reports on my Smashwords dashboard. That was truly an exciting and humbling moment. 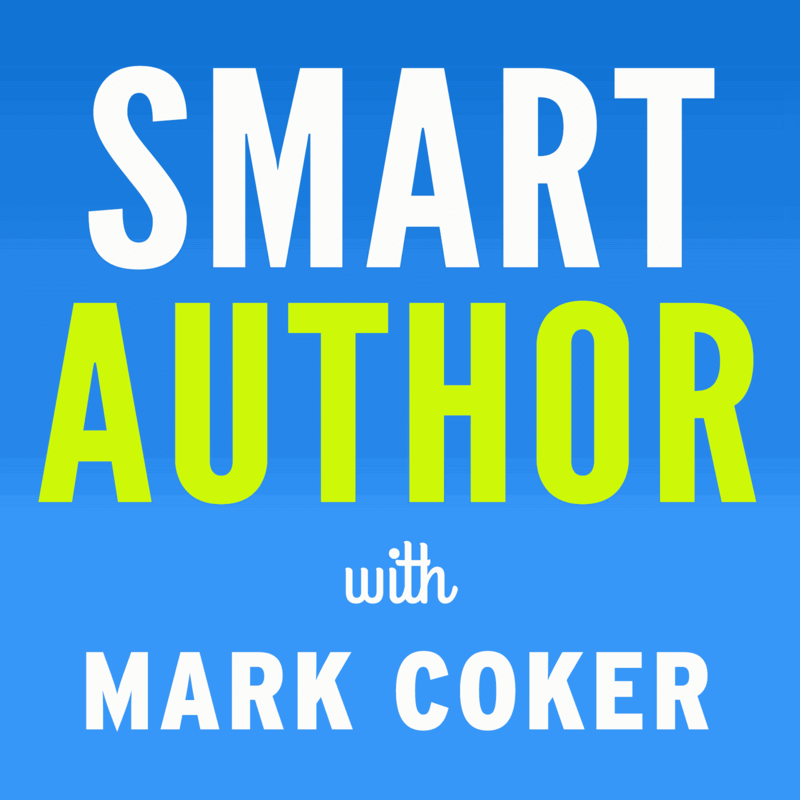 So, thanks, Mark, for creating Smashwords, and the continuing great advice and assistance. I will try adding that link to my website and see what happens. Thank you, also, for setting up Smashwords. And for constantly championing us the way you do. Thank you again for an extremely valuable post filled with useful information. In the post you mentioned that if we feel a book or book series is top ranked and worthy of promotion to contact you. In the past, knowing how impacted your email address is, I’ve been reluctant to attempt to contact you directly. To be honest, I’d prefer you focus your attention on continuing to make Smashwords better than the great company it already is. Perhaps it would be a good idea to provide a contact email address exclusively for authors to express their reasons for book promotions on sites like the iBookstore. You or your staff could evaluate the author’s arguments and proceed from there. I’m so happy I stumbled across Smashwords two years ago. I’m a loyal fan who promotes and defends Smashwords everywhere on the net. Well first thing is that Smashwords is not delivering titles on a reliable basis to premium distributors like Apple. I did experience the failures and it costed me. The second thing is that Smashwords has a "reader sets price" option which is really great. For premium distributors, like Apple, they offer to set a minimum price (at least $0.99) but the reality is that even though, the would send the book as "free" which would result in a lot of loss in sales. Third thing, we don't know in which stores the books re sold. Yes Apple has 50 bookstores in 50 different countries. But that doesn't mean your title will be distributed in EACH of them From my experience, expect it to be in one or 2 of them only. I sold well at Apple in 2011 and 2010, but 2012 has taken a dive even with new releases. After first quarter, I've been wondering if they changed algorithms. Yvan, there are so many inaccuracies with your post, it's not funny. Troll somewhere else, please. I'd like to make a comment about reporting of sales at Apple (to respond to a previous comment). The sales report that I access via my Smashwords dashboard shows what countries: ie, Apple country_DE, or Apple country_AU, or CA, or US, etc. It even shows that I made more per book book sold in Germany and Australia than I did for books sold in the US. Nice! So, I know my books are being sold in the various countries through the Apple iBookstore. Oh, and by the way, all those sales make me very happy. I thought the post was great. I'm always looking for more information on ways to interact with my vendors. 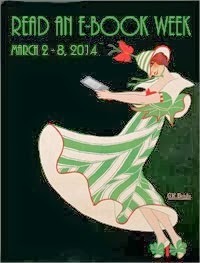 It's important, as it's been said, there are tens of thousands of books. So not only write well, interact well. The blog title is somewhat misleading. There's no real "how" going on, but more of a "why." Also, while I do enjoy the iBookstore and I appreciate my titles from Smashwords being delivered there, sometimes they are rejected and the author has no idea about it until far later. Nor do we know the reason why, which can lead to a lot of frustration. I don't want to make random comparisons, since the two distributors aren't the same, but Lulu.com will tell you why your book was rejected from the iBookstore if it happens, while Smashwords kind of just leaves you hanging. Another HUGE frustration is the lack of keywords, subtitles, and properly formatted descriptions. No keywords are ported over to the iBookstore as far as I know, subtitles happen randomly on whatever occasion if your book has something akin to it in the title, and the descriptions have absolutely no line breaks when ported over. I don't know if this is a Smashwords problem or an iBookstore problem, but it's very frustrating. If the iBookstore -has- the potential for a subtitle, why aren't we allowed to choose it on our Smashwords publishing platform? The same with keywords. And why do line breaks get completely screwed up when sent to the iBookstore(and Kobo, and B&N, actually). If there is a way to fix this, it would be really nice to know. 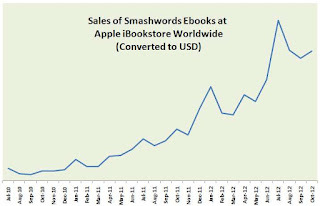 I know that it doesn't happen if you distribute to the iBookstore on your own, but that requires quite a bit of money compared to Smashwords free distribution, so for most people it isn't worth it. I don't want to sound like an ingrate, because I honestly really do appreciate the distribution and I like what Smashwords is doing, but it honestly hurts to see your book(s) looking really unprofessional/sloppy when they hit the iBookstore. Hi Mark. 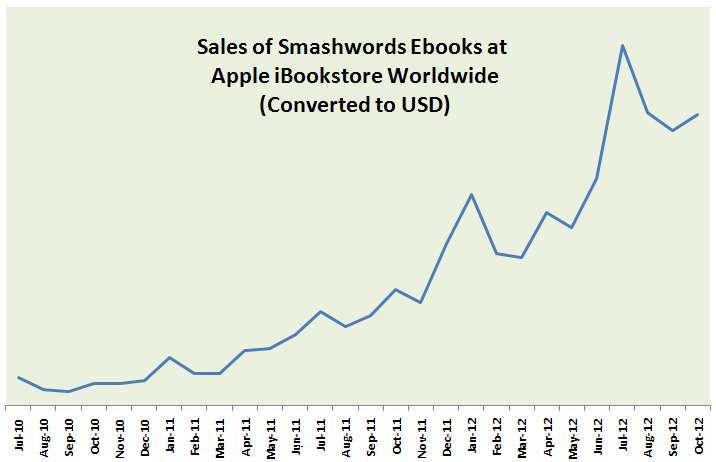 I thought that Smashwords distributed to the ibookstore. Are you saying we should upload our books to the ibookstore ourselves? I checked to see if I could find any of my books on the ibookstore and nothing showed up though it says in my channel manager that they have been distributed to Apple. @ChulaSlim(Doug), thanks for the suggestion. New address created. Address starts with merch and follows with @ you know where dot com. Use it to notify us one week before upload of a new release IF you have previously sold 4,000+ copies of a previous title distributed Smashwords. Upon publication, notify us again. I'll post more at Site Updates a little later. Consider this as a first iteration. I think there's much more we can do to make it even more proactive. @Carla - Hmm.. not sure what to say about algorithms. I don't know, and every retailer keeps such things close to the vest. I have observed that sales rank closely tracks short term unit sales, like last 24 hours, which I think is similar to most other retailers. You've got good covers, so that's probably not the issue. Maybe try some temporary price promos, or free on some non-free titles? Good luck! @J Cloros They don't support subtitles or tags as metadata fields. The line break issue is caused by how we're delivering the descriptions. It's something for Smashwords to fix on our end. @Carla Smashwords distributes to the iBookstore. If your book isn't appearing in a timely manner, please contact our support team at the "Comments/questions" link you'll find at the top of the Smashwords web site. They can investigate and help you resolve any problems. Thank you Mark, for the valuable advice. While I did manage to create a widget, I can't put it up on my blog because iTunes doesn't have the correct cover for my book, Deadly Trust, and also can't find the books I sell the most of, namely my books under the name of Georgina Lee. So my widget has half my books, and one is incorrect. So, while your advice is excellent, and appreciated, there are some bugs to work out, unfortunately. If you have any questions along the way, our support team can help. Hi Mark. Thanks for all the information on Apple iBookstore. It's great to have someone like you in our court. I've got my booklinks to Smashwords on my sites, but I will include them to all the stores you Smashwords distributes to in future. Cheers! Just installed the iBookstore widget on my website, so thank you very much. There's some good advice here I hadn't seen before. Thanks for the very helpful information. I have just updated my website to include direct links to each of my books on the iBookstore, something I would not have been able to do without your link to the Apple link maker tool. Also, thanks for the info on the preferred Apple nomenclature of "on the iBoookstore." I never knew if it should be the Apple Bookstore, the iTunes Bookstore, etc. Now I know and I've updated the text in my website to reflect that. Good advice, Mark! With their recent push into 50 countries and their new formats they've shown that they aren't just sitting on their laurels. Apple really seems to be taking a serious approach to the industry. I've tried the 'experiment' with select and saw a bit of a push but it's long past time I started bringing my newer titles to Smashwords. I'd be a fool to ingore the easy access that you provide. Is there a way to add blog review snippets on the iBookstore, or is there something coming from your end for that? I think another good way of enhancing your name is to release a few novels that are free. The only frustrating thing with apple is that you don't get to see how many downloads you get for the free books. Thanks Mark! I was shocked when I read the blog and saw you mentioned me specifically! I actually wasn't thinking that I was doing so well, and when I did some more research, I found that I was. I am so thankful for you and the Smashwords crew for helping me launch my writing successfully! I am a little unsure about when Apple will update purchases, though... I am showing 0 (zero) on my sales report, but I know that there have been sales on the iBookstore - When can I expect sales to show up on my sales report? Thanks for the help! Hi Jillian, congrats on your great success! Sales for the month of October were load this past Saturday, so you should see them in your Dashboard's Sales & Payments report now. I see you're still holding strong at Apple UK with the #20 and #24 bestselling slots store-wide. Thank you very much, Mark! I noticed yesterday that my Apple #'s were available and I was shocked! But very happy, too. Thank you for your all your help with Smashwords and Apple; I look forward to continuing to work with you!! :) PS- I am getting ready to release a new book, but I noticed your post from several days ago said only to notify the merch address if we sold over 4000 copies... Should I notify the address? Thanks again! Thank you Mark for all the great work you do to make it easier for authors to get there work out and specifically on iBookstore! I am wondering if you will be entertaining iBook Author created books for submission through Smashwords in the near future? I would love to create multimedia rich book and am looking at buying a Mac specifically for this purpose and of course distribution is the concern. Thanks, Mark. After over a year of mucking about I have turned my back on the gelid jungle of agentry and decided to make you my new BFF. Thanks for all the work you've done. It is now iBooks, not iBookstore. Hi, Hope I am posting this is the right place...? I am a first time author and currently have my book on amazon, but when trying to sign up to ibooks they said that I cannot hide my real identity. I have written the book 'ONE' under my author name (Brody Magdalene) it is a very interesting book but does have very personal things about my families life so do not feel the customer needs to track down my real identity. My question is - If Smashwords publishes my book to ibooks will the seller name be my real name or would it be sold under Smashwords identity? Obviously Smshwords would have all my real information but I just do not understand why the person purchasing my book needs this. Hi Brody, if you distribute to iBooks via Smashwords, we will only provide them (and all the other retailers as well) your pen name. We make it easy to publish under a pen name, and we're very good about protecting the privacy of our authors. If you have additional questions, feel free to contact the Smashwords Support team by clicking the "?" mark at the top of any Smashwords page. Welcome to Smashwords! Thank you so much for replying and clarifying this for me Mark. I will be uploading my book this weekend. HI, I have a question that I am hoping somebody may be able to clear up for me! I have uploaded an e.pub of my book 'One' but also have other formats ready to upload like .mobi and pdf. My question is how and where do I upload these files of the same book 'One' and link them to the version that is now being distributed by Smashwords?. Have I missed the opportunity to sell multi formats? Or do I have to figure out how to make a word document to upload so that these files I already have can get remade by Smashwords? Hi Brody, you can only upload .epub or a Word .doc to Smashwords. If you upload a Word .doc, we can convert it into multiple formats. If you upload an .epub, we don't convert it to other formats. Learn more at www.smashwords.com/swdirect If you have additional questions, please see our FAQ or contact our support team. This isn't the best place to leave support questions. Hi, is there any way for me to reach out to the merchandising team? If so, what's the best way to reach them?